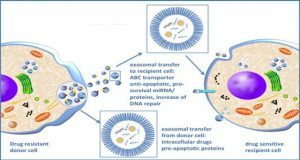 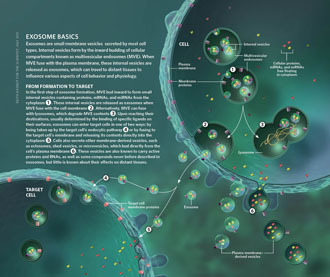 Extracellular vesicles (EVs) are cell-derived vesicles generated through a process of cell membrane shedding or storage vesicle release, as occurs during apoptosis, necrosis or exocytosis. 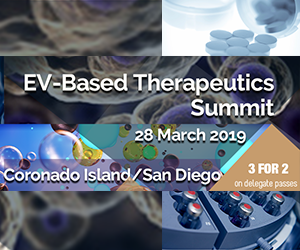 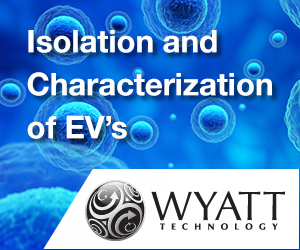 Initially perceived as cellular by-products or ‘dust’ of insignificant biological importance, recent research has shed light on the role of EVs as mediators of intercellular communication, blood coagulation and disease progression. 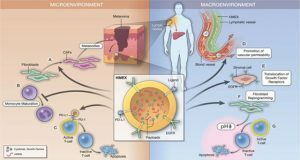 The prostate is a source of EVs and their abundance in complex biological fluids such as plasma, serum and urine make them compelling entities for a ‘fluid biopsy’. 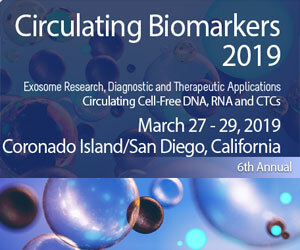 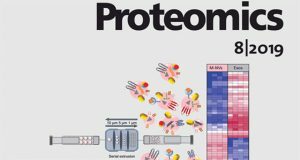 As such, prostate cancer cell fragments (PCCF) are EVs generated by the tumor resident within the prostate and are also present in blood, expressing a portion of biomarkers representative of the primary tumor. 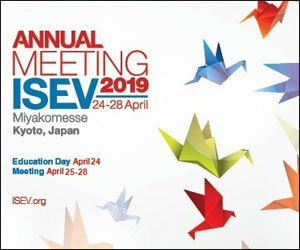 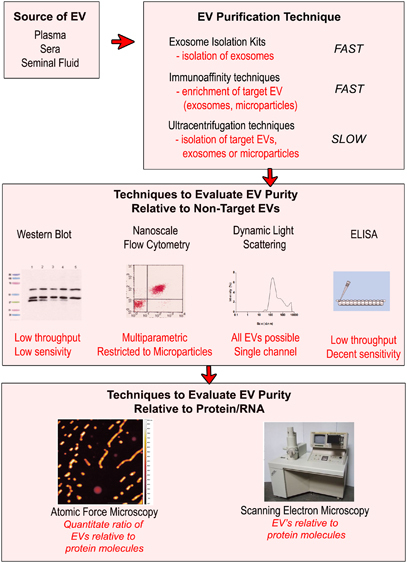 High-throughput analytical techniques to determine biomarker expression on EVs is the last hurdle towards translating the full potential of prostate EVs for clinical use. 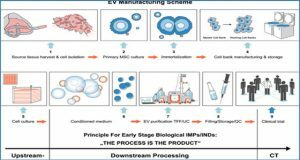 The authors describe current state-of-the-art methods for the analysis of prostate-derived EVs in patient fluids such as plasma and the challenges that lie ahead in this emerging field of translational research. 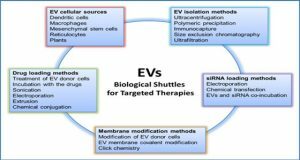 Summary of purification and evaluation strategy for extracellular vesicles (EVs) from biological samples.